The Trump White House continues its campaign to vilify anyone who speaks out against systemic racism and oppression. And it appears that some of those with the power to combat Trump’s harassment and intimidation tactics are surrendering to his abuse, as evidenced by the case of African-American woman sports journalist, Jemele Hill. Hill was recently suspended by her employer, ESPN, for two weeks over allegedly violating the company’s social media policy. ESPN claimed she broke the rules when she spoke out on Twitter against the continued suppression of NFL players’ right to peacefully protest during the national anthem. By making the decision to publicly silence Hill’s voice, ESPN is enabling Trump’s white supremacy and assisting him in his goal of strangling any journalism that dares to speak out. The move against Hill also represents a particular effort to silence Black women’s voices. 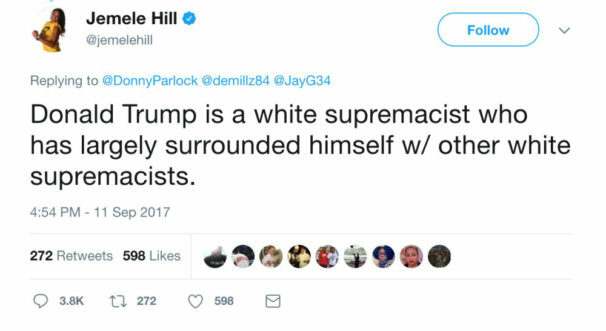 The previous “impulsive tweet” that ESPN referenced was a series of tweets Hill wrote weeks ago that called Donald Trump a white supremacist. This sparked the White House’s call at the time for Hill to be fired from her job. The irony shouldn’t be lost that Trump, who is notorious for his harassment and bullying through Twitter, called for Hill’s job for voicing her thoughts on the very same platform. Since Hill’s suspension, the so-called president has taken to – you guessed it – Twitter to ridicule the journalist and praise Jones’ decision regarding the Dallas Cowboys. Unlike NFL players, who have union representation through the National Football League Players Association (NFLPA), Hill has no such defense as an employee of ESPN, which is not unionized. 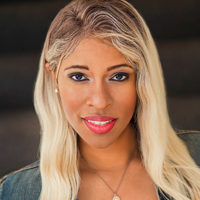 She used her social media platform to speak about the politics interwoven in a multi-million dollar industry that uses 70 percent Black labor. Now Hill is paying the price as Trump and his supporters successfully targeted her by pressuring ESPN to censure her. 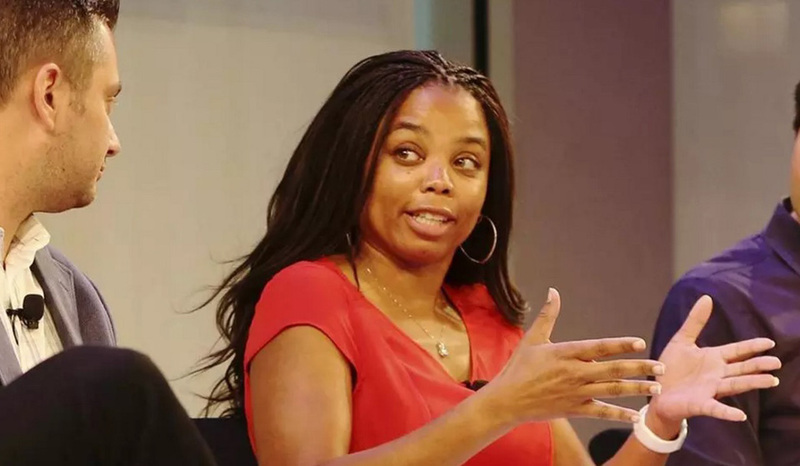 The trending hashtag #IStandwithJemele has emerged on social media, and rightly so, as Hill’s right to speak up and not be intimidated is just as important as any player’s right to protest. Her refusal to be silent serves as an example to the whole movement resisting the Trump White House’s abuse of power and continued oppression. Hill used her platform in order to call attention to these injustices and to defend Black athletes’ right to use the platforms available to them to protest inequality and racism. She is part of a long legacy of Black women consistently being on the frontlines of shaping the direction of emerging social movements and struggles for the rights of working people across the country. From Black Lives Matter to the previous presidential elections, Black women have been and remain a significant force for change in this country. They are also one of the most marginalized and exploited under our capitalist system. Hill’s stance follows in the tradition of Black women’s resistance. 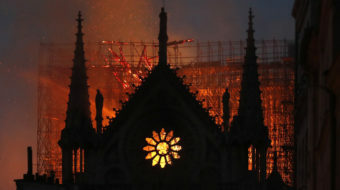 But the forces now working to silence and demoralize her also follow a tradition – the tradition of racist reaction, which has never disappeared. So while we speak out against the suppression of NFL players’ right to use their platform and voice, we also have to give support to Hill’s struggle to speak up as well. She was doing her duty, and shouldn’t be punished for it. Hill stood up for justice, and it’s imperative that others stand with her.